A performance appraisal system vs a performance management system? What is the difference between a performance appraisal system and performance management system? A performance appraisal system and performance management system are often discussed in the same breath but are they actually interchangeable? The purpose of this blog is to explain the difference between these two systems to help you determine whether what you really need is a performance appraisal system or whether actually a performance management system is more suitable for your needs. Some might say it’s semantics but actually the difference between performance appraisal and performance management is highly significant. This is because a performance appraisal is very often seen as a once or twice a year tick-box exercise. What is a performance appraisal system? Many people understand now that appraisals have become lengthy paper-based discussions, often rituals that people go through and don’t see the value in. 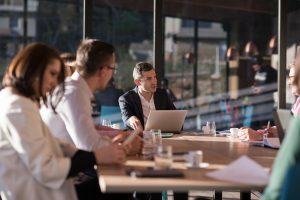 Rather than being an active, ongoing conversation that is meaningful to both parties, it is seen merely as a HR process, with staff just going through the motions. What is a performance management system? Performance management on the other hand should be seen as more of a holistic process. A performance management process should be something that takes place all year-round and both parties can take responsibility for it. For example, at the start of the year a performance management process or system should allow you to document performance objectives. It should also include one-to-one discussions, development activities and training opportunities. It should consider an appraisal conversation but this could well be something that is discussed at any point in the year. Furthermore, performance management should also include talent and career aspiration conversations and we believe this is something that can take place throughout the year, through meaningful conversations between the manager and the individual, which make an appraisal feel far more meaningful. Why do performance management systems receive negative press? Now of course, Performance Management has also been known to experience some negative press, but this is down to the bad application of HR process and a lack of regular conversations, where no feedback on performance is provided. To be effective, a performance management system needs to be used correctly. So if you are looking for a performance appraisal system or performance management system, we would respectfully suggest the focus on a performance management system because that is how you are going to get far better, ongoing holistic conversations in your organisation which will increase engagement, motivation and ongoing performance as opposed to just completing a tick-box exercise. You do however need to choose a performance management system like Actus which is not only easy and intuitive to use, but also offers HR expertise and support alongside it. For more information about Actus read more or you can request a free demo using the buttons below. Be the first to hear about our new products and services.